Some places that might be of assistance to you. If your project isn't on the list and belongs here please contact us. Doing It For Our Farmers. Drought Angels supports farmers and their rural communities. Farmers need your help in anyway possible, we have collated a couple of chosen groups that are doing their part. The We Care Community Shop is a registered NPF ​supplying assistance to families in the Mudgee and surrounding districts. 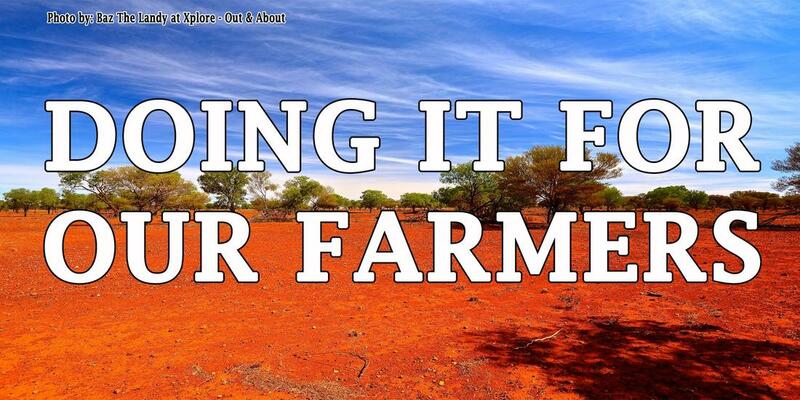 Giving farmers a hand to battle the devastating effects drought is taking on our NEIGHBOURS, FRIENDS AND FAMILIES!